The population of Tiger (Panthera Tigris) in India has undergone a sharp decline over the past few years. In the past, many protected areas (PAs) have even seen their worst in terms of their tiger numbers. One of such PA is Panna National Park, wherein the tiger population literally came to 0 in 2009 (WII, 2009). But today, thanks to the efforts of a dedicated forest department, different government institutions and NGOs, it is proudly (and protectively) home to 28 striped cats after the Tiger Reintroduction programme was initiated in 2009. The 1549 sq. km of park (547 sq. km of core area and 1002 sq. km buffer area) can easily support 25-30 tigers. 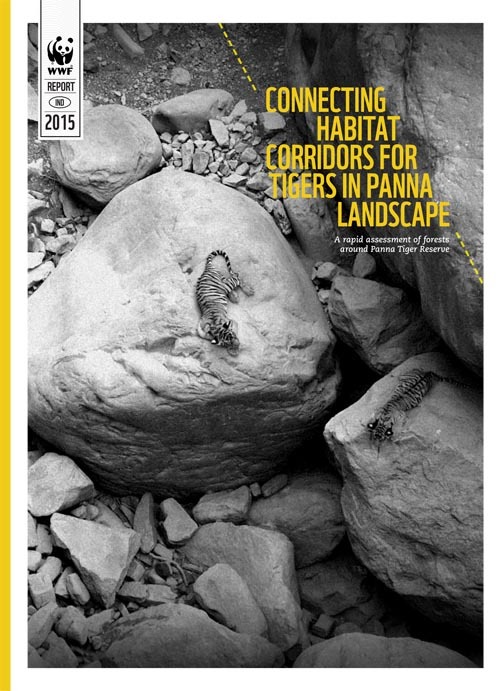 This report presents the findings of the rapid assessment carried out in the Panna landscape (Forest divisions surrounding Panna Tiger Reserve- North Panna, South Panna, Damoh, Sagar, Chhatarpur) to identify the existing corridor or linkages between the Panna tiger reserve and nearby territorial forest divisions. In the present study, an effort has been made to document baseline information of the status of tigers, co-predators and prey species in the study area. The value of this study can be increased if regular monitoring of these target species can be done which will reflect the degradation or remediation of the concerned environment.